We do not sell these items but Dr. Rimm recommends these products for parents. Finally, there's help for your child's bedwetting problem! DRI Sleeper® is effective in successfully treating bedwetting in up to 90 percent of children over the age of five years. When using DRI Sleeper®, the beeper sounds as urination begins, waking the child before bed and pajamas are wet. This teaches the unconscious mind to waken to the need to urinate and later learn the mature pattern of suppressing the need to urinate during the night. Successful treatment to consistent night dryness is achieved in most children in a few weeks. DRI Sleeper® is suitable for children over five years of age. Dr. Rimm recommends the DRI Sleeper® for helping children solve embarrassing bedwetting problems. PARENTS! Take charge of TV and video games with a plug lock as suggested by Dr. Sylvia Rimm in her newspaper column. Works with any appliance--you'll want several. If you, your child or someone you know has a reading disability, there may be a quick and effective solution to this all-too-common problem. 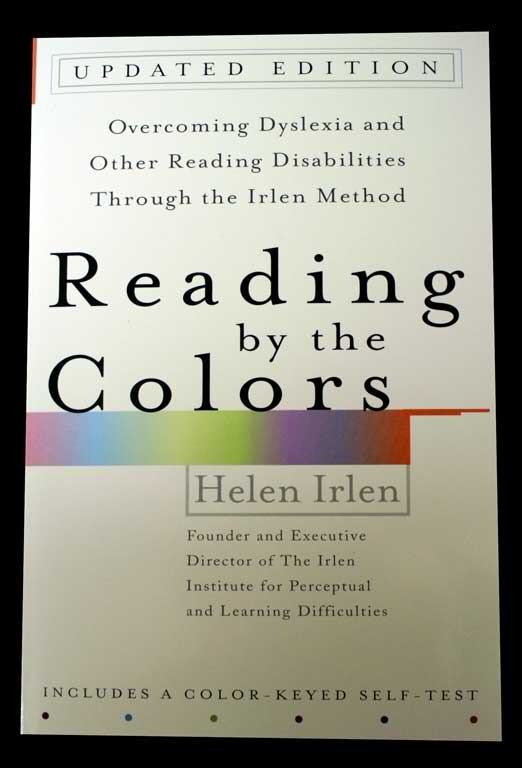 Educational psychologist Helen Irlen has developed revolutionary new technique that can improve or entirely alleviate reading difficulties for approximately one out of every five people who are affected by such a problem. Book includes a color-keyed self-test.